We’re turning 10! So we’re just having a party. Music and entertainment by people in the community. Just fun. Get in touch with alex (at) iot (dot) london if you’d like to DJ/perform that night. If you’d like to put some money behind the bar as a sponsor that night, get in touch too! We’ll probably be in a pub with a large room and an AV sound system. 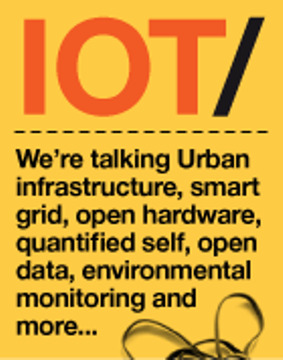 Use @iotlondon and #iotlondon to keep conversations connected and check out http://iot.london… for more information, books to read and get to know the startups in the community.